Calculate the total square metres of wall area, excluding all doors and windows. Divide the total m² by 0.54 and then round up the answer to the next whole number. Enter the result into the box. 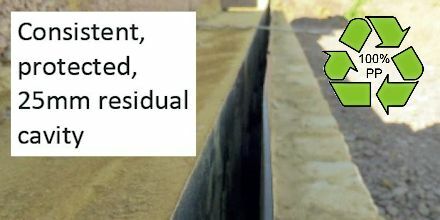 Seal washers are recommended if you are building with a timber-frame. Sold in bags of 50. 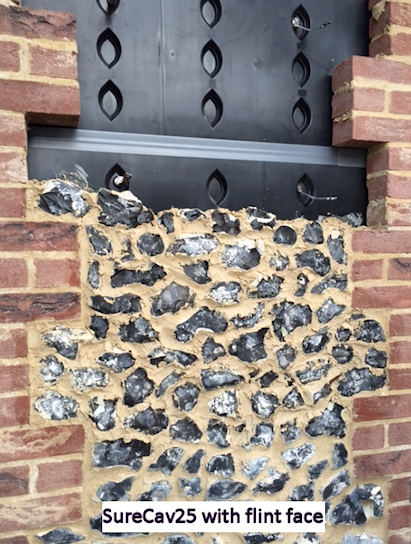 New Technology in Cavity Wall Construction! 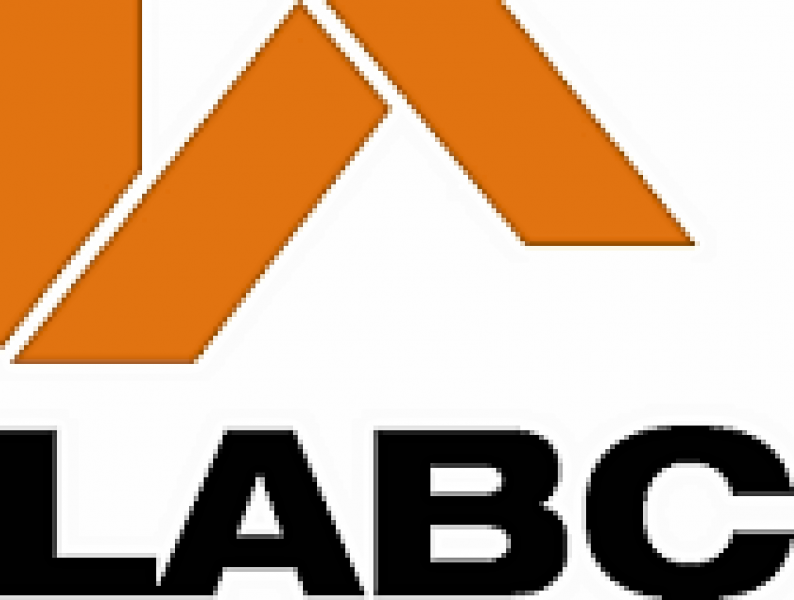 BBA certified and accepted by NHBC, LABC and Premier Guarantee. 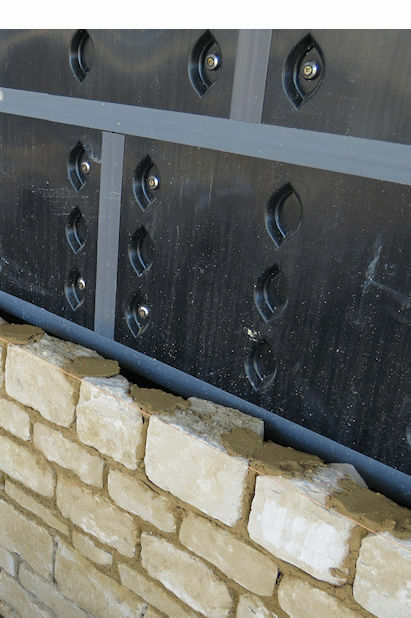 SureCav is a moulded, recycled, polypropylene panel with spacer protrusions that forms the cavity and allows a stone, slate, brick and flint outer skin to be built without the need of an additional block leaf - this cavity protection system ensures clean and moisture free cavities. Provides up to 5% extra floor area when using original external dimensions! 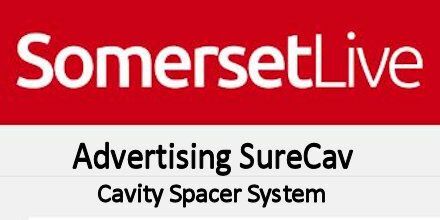 Available in 25mm or 50mm deep panels for the perfectly protected clear cavity. 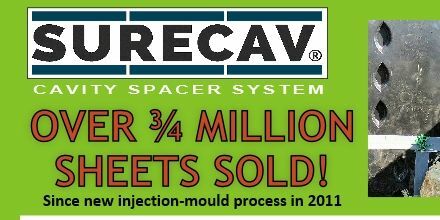 SureCav25 provides 25mm additional space in the cavity for insulation, enabling U-Values to be as low as 0.18 W/m2K in a 100mm cavity. Yes - up to half the cost of a block support wall! See Cost Comparison Chart for savings made by removing the need for the block backing wall. 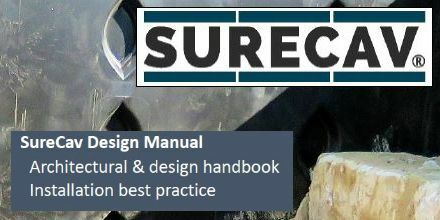 Contains up-to-date, helpful information to assist in installing SureCav25 and SureCav50 successfully! Architects and builders countrywide are adopting SureCav as a proven way to save time and money, as well as enhance the quality of their project.